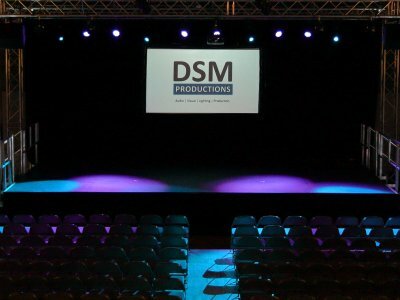 2018 has been an eventful year for DSM Productions. We have welcomed new clients, helped to raise over £50k for local charities and expanded our stock holding. In November 2018 we entered our 3rd year of trading. Starting out with a handful of audio equipment we now have our own stock of staging, lighting, sound reinforcement, rigging and stage furniture. The last 12 months have seen our warehouse increase in size from 1,000 sq ft. to 4,000 sq ft. We have increased turnover and profit allowing us to expand our stock holding even further in 2019. Our commitment to WACCL (Wakefield Annual Charity Christmas Lunch) has helped to raise over £50,000 this year for Wakefield Theatre Royal Performance Academy, Levi’s Star, My Burns Club and Laila Milly Foundation. 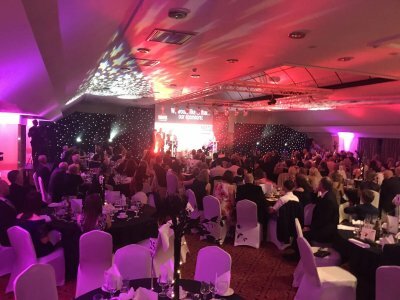 We were proud to provide all the production and equipment for the Children of Achievement 2018 awards, held at Cedar Court Hotel Wakefield, which saw performances from Skinny Living and the Performance Academy. We then went on to provide all the production and equipment for the Christmas lunch which was attended by Sir Rodney Walker, Baroness Warsi, the Mayor of Wakefield and many more dignitaries and business men and women. We have continued our work with public sector and private sector organisations providing equipment and support for conferences, awards and open air events. 2019 is set to be even bigger with some exciting new ventures in the pipeline. Our commitment to sustainability pushes us into becoming as environmentally responsible as possible and our commitment to our clients continues to be a key part of our day to day running. We are looking forward to seeing what the new year brings and would finally like to take the opportunity to wish all our clients. 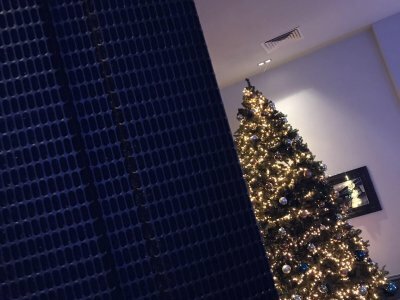 suppliers and everyone else a very Merry Christmas and a Happy New Year!